6. Aluminium case, resin filled. 1.In DC-Link Circuits/Can replace electrolytic capacitor. 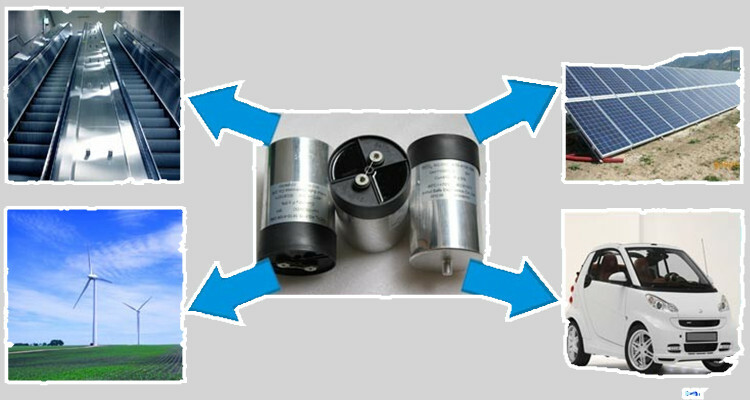 2.In inverters of Wind Power and Solar Power or other industrial frequency converter. 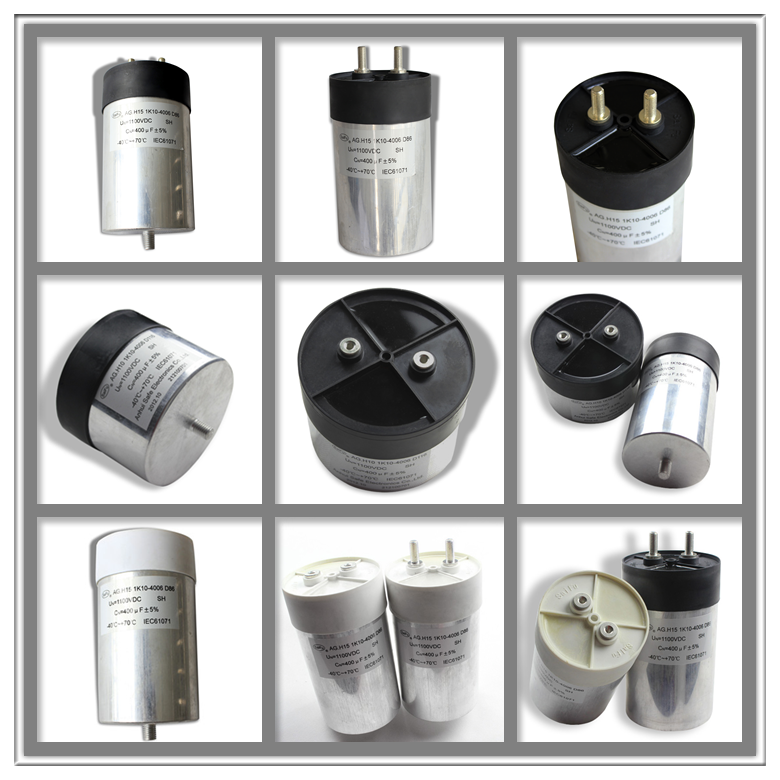 3.In Welders, Inductive heater, UPS, Elevators, Motor driver systems, Transportation; HEV or EV. 1,Q:Where is your located?How can I visit there? A:Our factory is locatede in Tongling City,Anhui Province,China,about 3.5 hours High Speed Rail ride from Shanghai.All our clients,from home or abroad,are warmly welcome to visit us! 2,Q:What kind of certificates do your company have? A:Today,our company have owned many authoritative certificates,for example,TUV,CQC,andSGS,ISO09001,VDE,UL,etc.please relieved buy the product. 3,Q:How can us get some samples? A:We are honored to offer you samples.if you need!The little sample cost can be free,the large quantity samples,can be negotiable.The freight cost,the customers'pay. 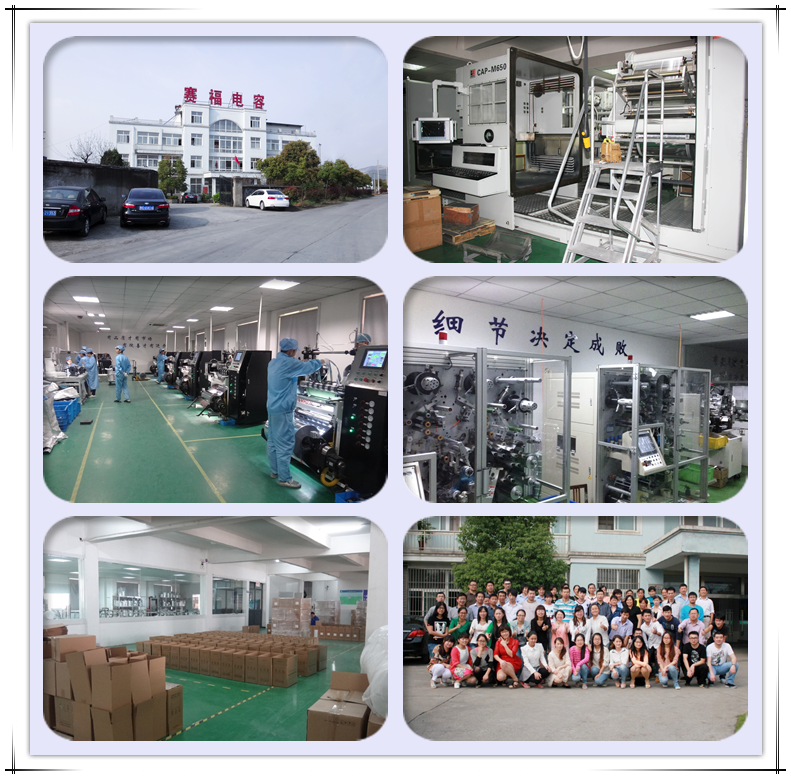 As a company which is specialized in manufacturing metallized film for capacitor use and metallized film capacitors for about 10 years, we possess non-dust workshop, many professional manufacturing equipments, many professional test equipment and testing instruments.